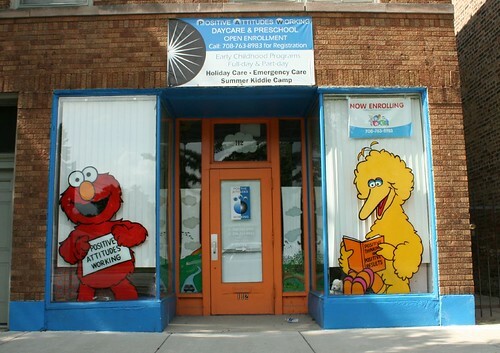 Every city has them – the day care centers with the window-paintings of popular childrens’ cartoon characters, slightly misproportioned, festooning large storefront windows or walls, cheerfully waving at passersby. These creatures assure us that the place within is welcoming, friendly, comfortable, familiar – all the things a parent would want their children to have while they are away at work. 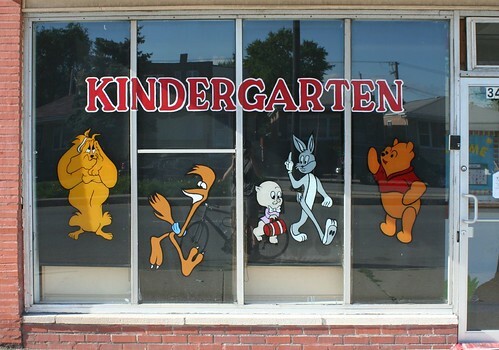 Their ubiquitous nature says a lot about the commonality of children’s television programming. 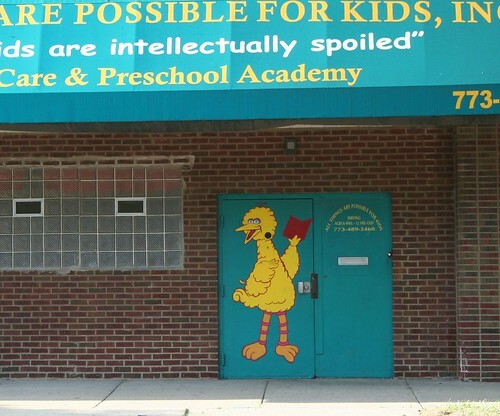 Elmo and Dora the Explorer are popular favorites, though Big Bird remains the king. 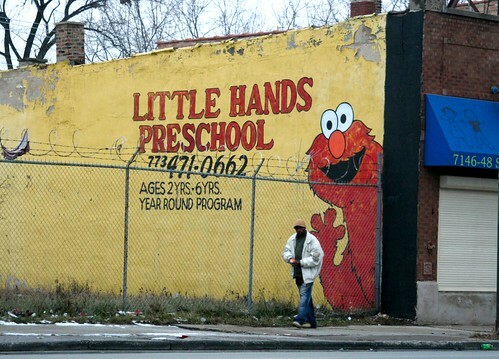 Also of note, they’re mostly seen in lower-income neighborhoods. I could speculate on a number of possible reasons why – perhaps the TV is a more common babysitter. Maybe there’s just less money for decoration. Maybe they’re fighting harder against an unpleasant built environment. Maybe these things aren’t seen as very classy in higher-income areas, or are prohibited by ordinance. Maybe they just aren’t as worried about using trademarked characters. 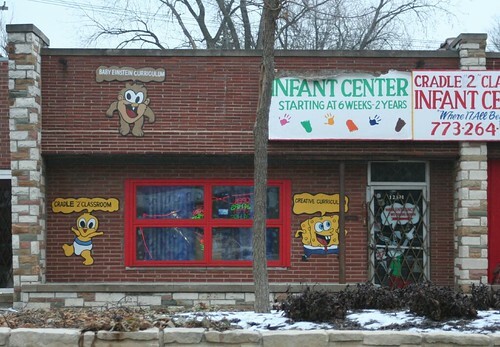 Maybe small daycare centers just aren’t as common. But it’s all just speculation. What’s remarkable is how universal the artistic style is. 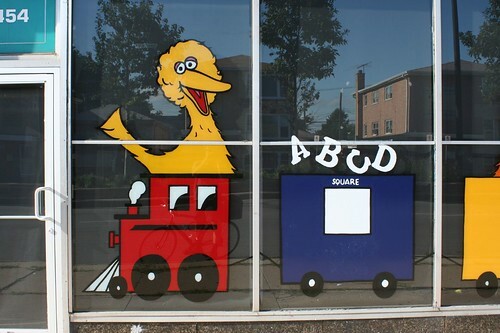 There’s almost always something a bit… off about the portrayal of Big Bird and company. I’ve noticed this for years. 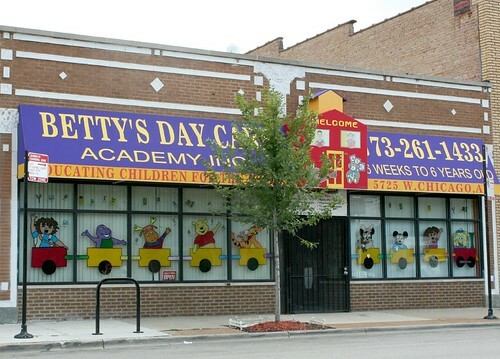 The photo above was taken near the boundary between Chicago and Oak Park – right where incomes are starting to rise. And perhaps not coincidentally, it’s a rare example of the characters not looking slightly mutated. And finally…. 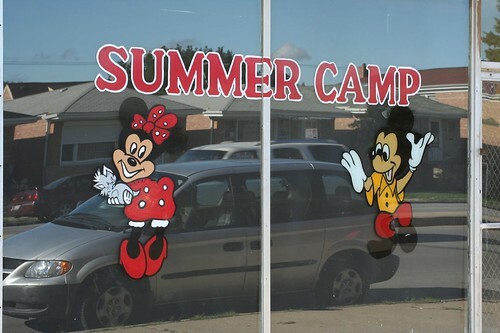 all I can say here is that Mickey looks awfully excited by Minnie’s tush. Yikes! This entry was posted in modern folk art. Bookmark the permalink. ← The coolest city hall ever! 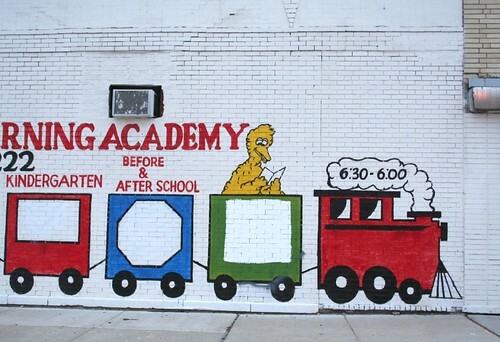 I think you will find fewer stay-at-home moms in the poorer neighborhoods, so there is a higher demand for daycare. However, most of these places are run by small businesspeople who decorate as best they can. 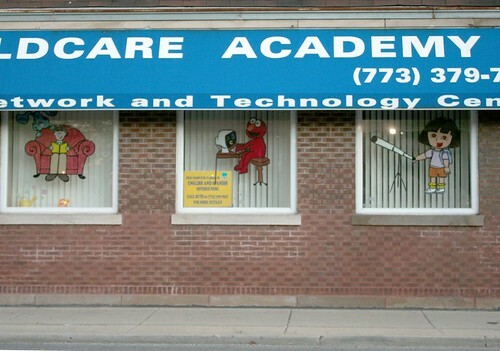 In better areas there are national daycare chains, like KinderCare, who prefer to set up their own brand, and do not wish to court a capyright suit from Disney, et al. The mutation in the images comes from amateurs doing the work.